Automating your pool may sound complicated however it simplifies pool operation. Pool automation systems can control your pool equipment, yard lights, pool heater all from your smart phone. You can change your pool temperature or turn lights on and off right from your phone. At UV Pools we have the experience and know-how to make your pool easier to use and more fun to operate. Perfect Chlorine Levels And pH Levels Automatically? With a Intellichem system you pool chemicals will automatically balance itself and it automatically checks the ph and chlorine levels and adds the proper amounts as needed. Intellichem is a high-tech automatic chlorine dispenser that dispenses the proper amount of acid or chlorine to keep your water at the optimal levels. it displays the real time ph and chlorine levels. The Intellichem system comes with 2 tanks, one for liquid muriatic acid, the other for liquid chlorine. Adding a ozone system can give your pool the crystal clear water that you see in olympic swimming pools and cut down on the chlorine consumption considerably. Ozone is also a micro flocculant and a terrific oxidizer so your pool filter can do a better job of filtering the particles and give you excellent water clarity. Ozone acts very quickly as does ultra violet sanitizers. UV sanitizers are much more cost effective and less maintenance than ozone systems. We carry the ultimate ozone systems that are very powerful. These corona discharge systems require an oxygen generator which helps to concentrate the ozone. The dry oxygen is sent through a vacuum break then through the ozone generator. The concentrated ozone is injected through a venturi injector and oxidizes all organic material in the water almost instantly. The ozone injected water is carried to a contact tank where the ozone mixes with the water and off gases so the bubbles do not end up in your pool. Ozone systems need to be sized properly and setup properly to work effectively. It is best to talk to us for ozone unit sizing. 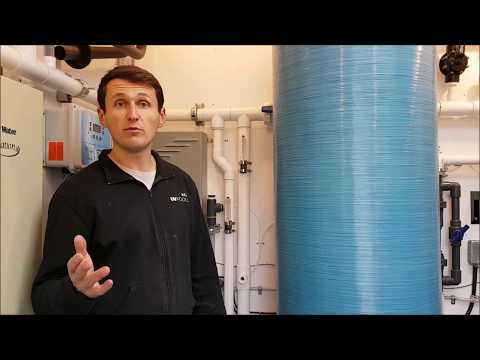 Dale Kreviazuk of UV Pools gives an overview of how a pool Ozone System works. 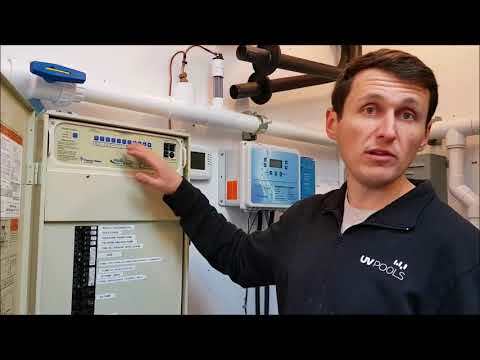 Dale Kreviazuk of UV Pools gives an overview of pool automation and what you can control with it. 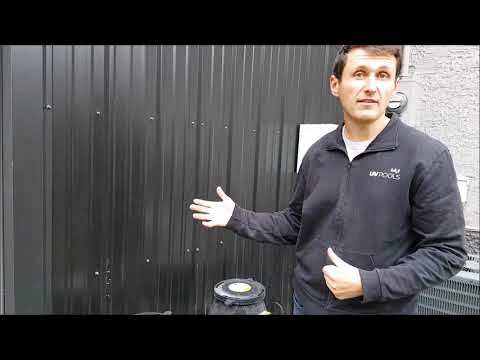 Dale Kreviazuk of UV Pools gives an overview of how the Intellichem System works.